Rig Rings There are 6 products. Very strong link loop, matt black coated to reduce glare and visibility under the water. 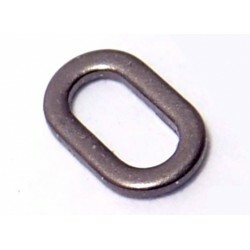 The links measure 7mm x 4mm on the outside edges. These links are compatible with all major brands. Tear Drop Rig Rings, these are perfect for blow-back rigs, chod rigs, and multi rigs, where the hookbait is attached to a ring.Hair or floss knots locate securely in the apex, whilst the more rounded side of the ring is free to move smoothly on the hook shank, or D-rig loop. 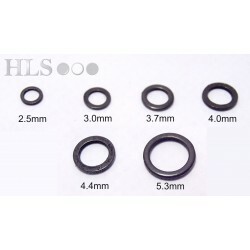 A good all round Rig ring, smooth finish, strong and reliable.Suitable for any type of rig. 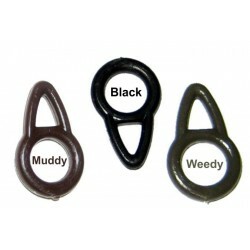 Easy glide large eye run rings, ideal for running lead carp rigs , pike rigs and marker float set ups.Smooth, strong and lightweight. 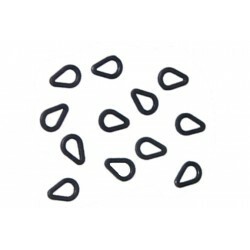 Constructed from 0.8mm wire and machine welded, they are very strong and also feature a rounded cross section which is gentle on your line. Inside diameter 4mm, outside diameter 5.6mm. 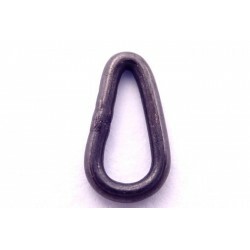 Can be used as a link loop, large rig ring or a Heli lead ring.